the pages. 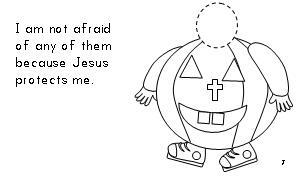 Then have them either draw themselves or put a photo in the circle on the pumpkin costume. These are available to be printed with two of the same pages on each page or with two different pages on each page.